Midges are part and parcel of summer in the UK and you can often see clouds of the insects gather on humid, cloudy days. While they’re not usually serious and won’t pass on diseases, they can be annoying to deal with, causing swelling and painful itching. Some people can react badly to midge bites and these symptoms may be particularly intense, or last for longer than usual. If you’ve suffered a midge bite and your symptoms are particularly bad or aren’t going away after a few days - don’t delay, speak to a doctor online now. Female midges feed on the blood of animals to help provide nutrients for their eggs and they’re not fussy about which animals they bite, which means humans are often fair game. When you’re bitten by a midge, it sinks its ‘teeth’ into you and spits a little anticoagulant into the wound, to stop the blood in the area from clotting and letting it get its full meal. Unfortunately, for us, once one midge has found a food source, they emit chemical signals called pheromones to let their friends know there’s a good meal up for grabs. This leads to nearby midges swarming and means people are rarely bitten just once. 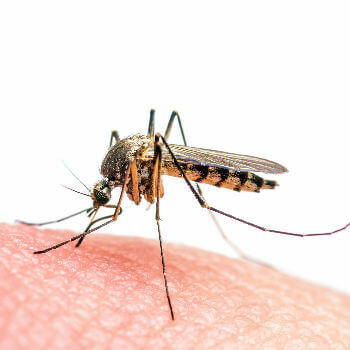 Luckily, the number of people who suffer an especially bad reaction to midge bites is small, but the anticoagulant used by the insects causes our immune system to kick in, resulting in an allergic response that tends to cause swelling and itching. Most midge bites can be treated at home and should get better fairly quickly. However, for some people the immune reaction can be worse and symptoms may continue for days afterwards. Prevention is better than the cure, so if you tend to have a bad reaction to midge bites, you’ll want to avoid the grassland areas that they tend to live in, beware on damp days in summer and invest in some insect repellant. If you’ve been bitten by midges and are experiencing intense or persistent symptoms, don’t delay - speak to a doctor online now. Our GPs can examine the affected area, offer treatment recommendations and if necessary, prescribe medication to help clear up the problem.